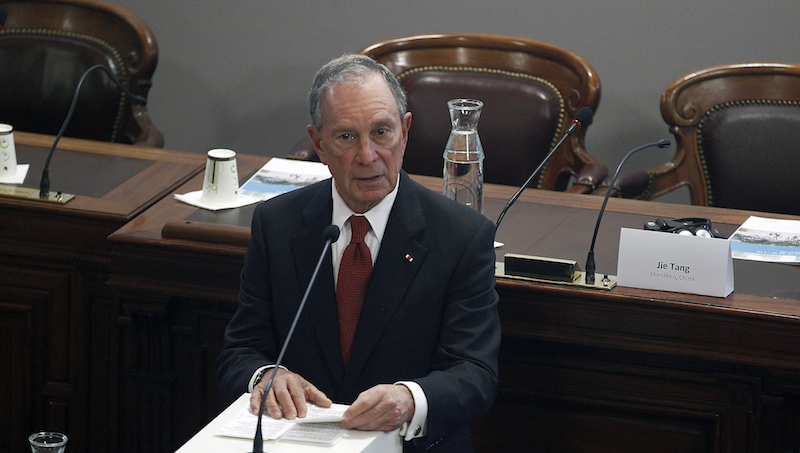 On Monday, Michael R. Bloomberg, former New York City mayor and figurehead of an enormous news organization, announced that he would spare the country his candidacy for president. The late, teased potential announcement was largely an irritation, like a loud drill that would repeatedly suddenly turn on at various increments, usually when you were finally sure it had completed its work for good. They covertly assembled a network of several dozen strategists and staff members, conducted polling in 22 states, drafted a website, produced television ads and set up campaign offices in two states—Texas and North Carolina—where the process of gathering petitions to put Mr. Bloomberg’s name on the ballot would have begun in days. Bloomberg had also tapped Milton Glaser, designer behind the “I Love New York” campaign, and Swedish industrial designer Thomas Meyerhoffer to come up with some logos. Potential slogans included “All Work and No Party,” and “Fix It.” The Times even has a rough cut of a Bloomberg commercial, which boasts of Bloomberg’s middle-class upbringing and how he would not—in this scenario that is now dead—take political contributions. So it turns out all that drilling actually was building a little skyscraper, which they eventually decided to bulldoze without filling it with anything.